I was on the 1030am from Bridgend with Id estimate around 200 Bristol. An announcement on the train that their designated pub was the Grand, they all walked past it straight to Wind St where most went to the Griffin. I'd imagine the police will be far more heavy handed with us. 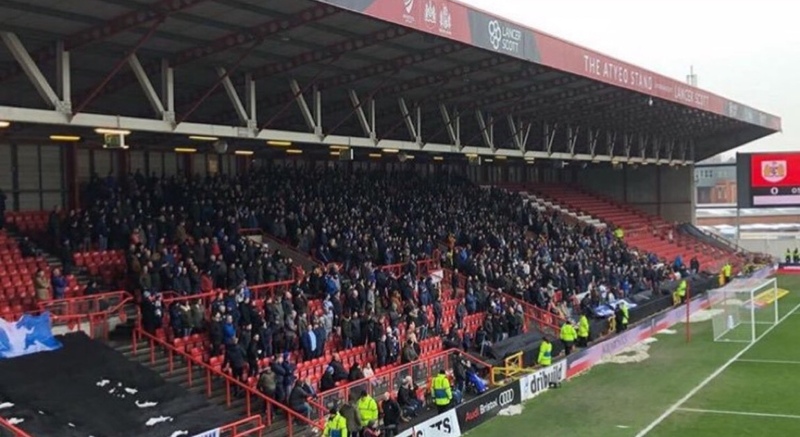 One of the Cardiff boys in work reckons they took them to that Wetherspoons and then frog marched them 2 miles across the bypass to Ashton Gate, they missed first ten minutes. I’m not feeling a 2 mile treck after a bucket loads of beer personally. I was in the Grand that day ,as we caught the train down. Quite a few Gummidges in there, but no trouble. I've a feeling the rozzers will be out in force rounding up our lot. Just all have to be wise to that and slip away. Edited: Anybody had their match ticket for rows 1 to 6 that would rule this idea out. They've been blanked off all season going off the TV highlights. Happened to us about 15 years ago as someone has already alluded to above. Didn’t even get to a pub, slowly marched across Bristol to the ground and back to the station afterwards. I doubt that will be the case when they play Leeds? Less netting for Forest and Sheffield Wednesday fans this season. 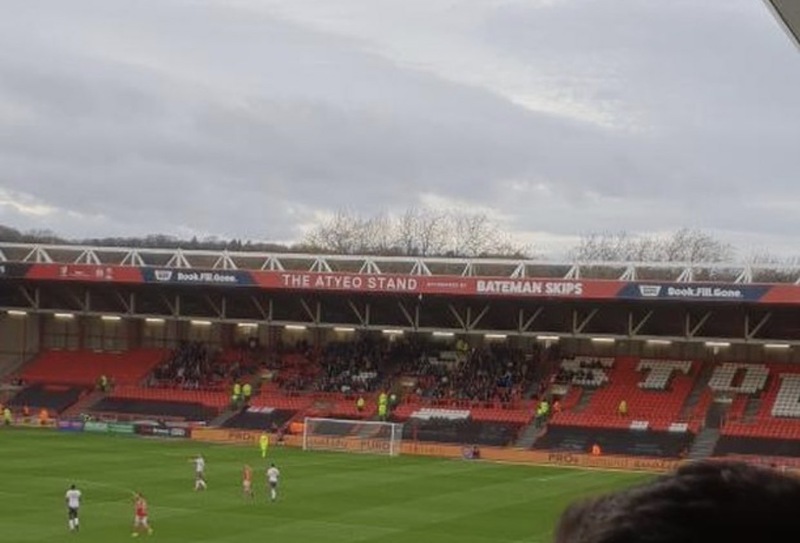 980 Plymouth fans this season in the cup. Yeah, sorry didn't see the post prior to mine. They were allowed to take just over 3000 fans aswell. Why they aren't allowing us is ridiculous. There was only a bit of handbags in the reverse fixture outside Walkabouts from what I saw, not exactly a full scale riot. Cardiff were given 2600, then were given the extra 700 after it sold out. Fingers crossed there is still time for the authorities to change their mind. Perhaps the club should approach Bristol City, and the police. Maybe they wont. Maybe they have. They don't tell us. This is a crazy situation, the club don.t seem to care. Think lots of people like myself will be traveling without tickets. You think the club would at least lay on free travel for those without tickets. In the last full season for which data is available on their website, 2017-2018, BC had 6 home matches with attendances in excess of 2500 of which 4 were in excess of 3000 with Leeds max with 3717. The 4 x 3000+ were Leeds, Wolves, Villa and Cardiff. If Avon & Somerset let Cardiff take 3k+, I see no reason why they wouldn't allow us the same to be honest. I seriously doubt on this occasion is a case of us not wanting to foot the bill if the extra seats didn’t sell. It is down to the safety people along with the police deeming the match high risk and caping the away support at a more manageable level to police. The serious issue will be fans now going without tickets and our fans buying tickets in the home end. They did let Cardiff have an initial 2,500 and then an extra 700 was granted but there was trouble. Those who wait to see if we win 2 games before deciding if they fancy a trip to Bristol City don’t deserve tickets. I can see this being another Reading, hope not though. Another 1000 tickets on sale from 1pm today. Hi @PapaLazarou and anyone else wondering about the lowish/moderate allocation. It is a bit dated now but predominantly the reason for the lower allocation would have been a club decision I feel. 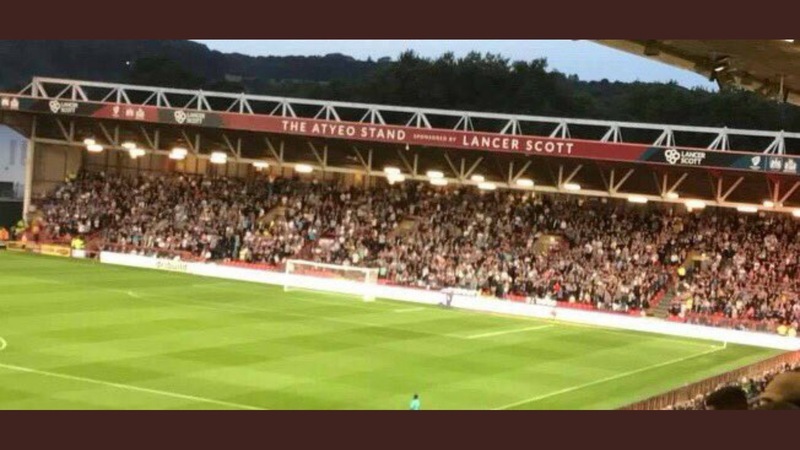 Big away followings though good for the game, as a whole- and I'm personally in favour of like past times albeit brought up to 2019 standards, safe standing behind both goals, giving away fans at all grounds a whole end- however in these times they help away sides- especially in a derby type atmosphere or a big match. Essentially, the club (my team aka Bristol City) would like marginal gains. Every little helps, i.e. 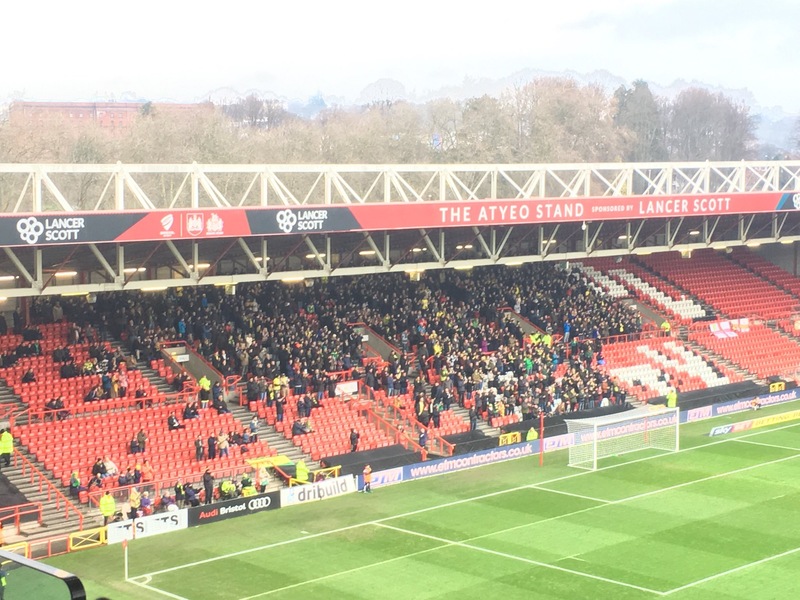 smaller numbers of away fans- we saw what a big noisy away following last year could do v Leeds and v Wolves in 2017- the latter was especially crucial in our downfall last season being the way it went, the end of the year etc. I believe the ideal for the club would be away fans as far away from the pitch as possible and in a fairly low number. Hence why no POTD for away supporters either. Anyway, my point is moot now there has been an extra allocation but this hopefully helps to explain it a bit. Would play a part certainly, but at the same time we have been pretty consistent in the main in our approach to allocations this season. There is always an exception to the rule and yourselves maybe it.